We’ve cherry-picked some of the most talented high-flyers in the digital industry to join our team. Drawing from our deep pool of exceptional professionals, including Microsoft-certified experts and open-source gurus, enables us to create first-rate web and mobile-based products for your brand. Steven Brett is a digital native who has seen all sides of the business across many industries. As the CEO and Founder of BrandBridge, he brings his strategic savvy and head for commerce to the business of digital media production. Having rallied a team of digital gurus, Steven revels in helping communications agencies seamlessly take their clients’ brand experiences into the digital realm. He began his career in the music industry, working at A&R and Sales & Marketing with Polygram. There, developing dance music artist profiles and building promotional campaigns, Steven learned the true power of fully integrated communications through all available channels – especially digital media. Steven then strode into agency life with TEQUILA/TBWA London. As head of the agency’s brand experience division, he assisted global powerhouses like Marlboro, Sky, Clarks, Comic Relief, Shell, UCI Cinemas, Grand Marnier, Jamesons, Whitbread and P&G drive highly effective, multi-disciplined sales promotion, direct marketing and sponsorship activities. Moving client side, Steven then worked as Head of Marketing for Avalon Television, where he developed marketing for a number of high-profile shows and artists, including the controversial ‘Jerry Springer: The Opera’. In 2010, Steven could no longer resist his entrepreneurial impulses. He struck out on his own, to create a successful application and web-based business for the restaurant industry. When the business sold in late 2013, Steven saw an opportunity to turn his skills, knowledge and experience to digital media production, and founded BrandBridge. 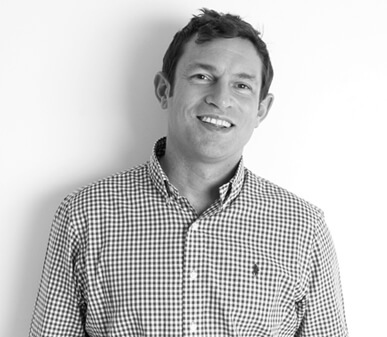 When not going all out for his clients, Steven enjoys rugby, cricket, travelling and food. He also considers himself a bit of a home chef – but don’t expect to see him on The Food Network any time soon. Laura Franklin does it all. From non-profits to billion-euro businesses, she has navigated and led marketing, communications and HR functions across a diverse portfolio of organisations, in the UK and internationally. A graduate of the University of Arts London with a degree in graphic design, she brings together skills in office management and inter-departmental communications, above and beyond her considerable design credentials. Managing day-to-day operations for BSS Ltd, a London-based non-profit which promotes initiatives between the UK and Syria, Laura helped to strengthen links between the two nations through business-to-business, art, cultural and educational events and projects. In doing so, she worked extensively with and learned from notable business, academic and diplomatic specialists. 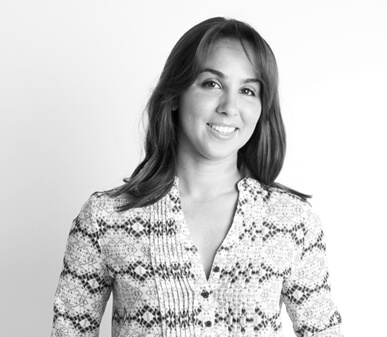 A top-class communicator, organizer and diplomat herself, Laura is flexible and adaptable to the rapidly changing digital environments BrandBridge clients find themselves in. As such, her experience in building strong working relationships, delivering a high level of professionalism and working comprehensively with clients, colleagues, partnering companies and the media really shine through. 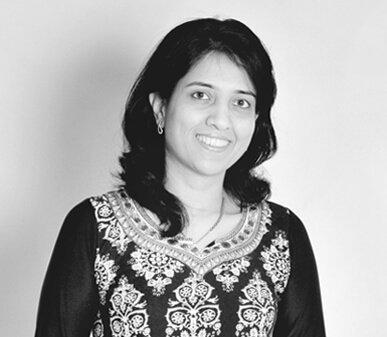 If there is a job in web and mobile development, Jyoti has held it. A leader of exceptional skill, she has been instrumental in bringing together a crack team of world-class experts at BrandBridge. And her involvement in everything from large business transitions to quality improvement has made her an invaluable asset. As one of BrandBridge’s technical leads, she brings to our clients over 12 years’ experience of coding, building, developing, managing and all-around service. She is a true software evangelist who can take an idea, and transform it into a powerful product or service, through the power of automation, the web, and mobile technologies. Jyoti started out as a Software Developer, and proceeded from there to become an accomplished System Architect and a Project Manager who takes software development to the next level. Her goal, with every project, is to provide superior client service and to deliver on, or ahead of, deadline. That’s because Jyoti realises that getting to market on time can make or break a business. Ravi is a global mobile champion. He is a strong leader who has a long history of building projects from the ground up, and driving profitable win-win business scenarios for all of BrandBridge’s clients. As one of our technical leads, his insight adds tremendously to our arsenal of capabilities, and his deep experience helps in building core teams that get results. 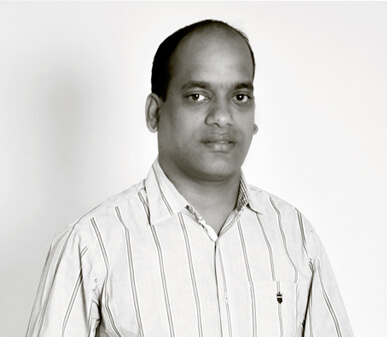 Ravi has been working in the Internet space for more than 15 years, working with businesses around the world, both big and small, established and start-up. Mobile technologies are his particular specialty. From software development and system architecture, to mobile strategy, Ravi helps our clients benefit from the latest mobile technologies and channels to boost their brand presence. Whether building mobile-responsive websites, or developing native or cross-platform apps, he has the development, business and marketing knowhow to nurture great client relationships and drive phenomenal mobile success. Exuding energy & enthusiasm, our global team spans three countries to service our portfolio of worldwide clients. Our consulting division provides on-site expertise for application specifications and designing complex digital technology platforms. Based in our leading-edge facility, BrandBridge Solutions specialises in web & mobile development, with ongoing support & maintenance. BrandBridge has been successfully outsourcing software development for over 13 years, with services spanning across 22 different countries. We specialize in building, and assisting with the management of, offshore development centres and dedicated teams. This enables us to draw from an impressively deep talent pool of over 200 IT professionals who work on a variety of international projects. Team leasing our talented professionals is an efficient and cost-effective method of completing your custom project. And, of course, the number of team members in your specialist team can be scaled up or down, depending on your specific needs. We listen to what you want: your ideas, your requirements, your dreams! We’ll take the time to really get to know your business as we start the technical expert consulting process to analyse your business needs. Once completed, we send you the business case, our proposed solution, as well as a cost and time estimate. This part of the process is on us, with our compliments! Next, we create a framework agreement. Our expert team will undertake an in-depth business, technology and system analysis to ensure that they fully understand all your project requirements. We’ll then produce a detailed project brief that will help you make the best decisions. At this stage, we set up a team and the tools for your project development, establish communication channels, and then start work. We provide an agile and transparent delivery process, with ongoing communication and issue-tracking, quality control, as well as expectation and improvement management. We use the Time & Materials cooperation model, which suits the Agile model perfectly. So, you’ll only pay for the actual time we spend on your project. We incorporate cost and quality management tools in all our projects to give you total control over both the deliverables and your budget. We believe that strong and transparent communication is the bedrock on which our business partnership is built. Clean and easily scalable code, along with error prevention, are the keys to successful software development. Our Quality Policy is based on exacting standards and best practices, as well as the experience of our developers and QA squad. Want to try working with us but not yet ready for a full-blown commitment? We can offer you a period of trial cooperation. It’s the perfect opportunity for you to check our competencies and decide whether you’d like to continue collaborating.